Searching for a contemporary tea cosy that really works but isn’t at all old-fashioned-looking or flowery? So was I. Clean modern lines, functional, a bit school-uniform-y and the fine wool felt really holds the heat. Simple, clean styles and two thick, beautiful felts. Each cosy is handmade of one of two different , 1/8″ (3mm) wool or wool-blend felts. Each one bound to be slightly different. Think Shaker furniture design – simple, clean, functional with an enduring contemporary look. 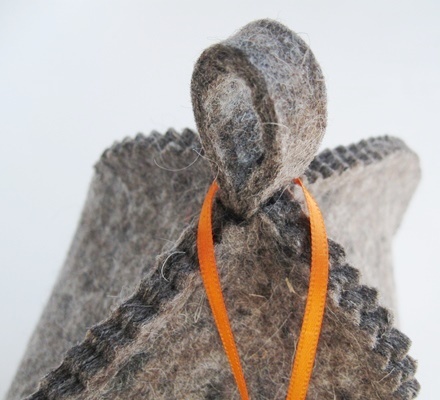 Did you know that wool felt is a completely eco-friendly product? Wool is a renewable resource (every spring) and this European wool felt is manufactured to Oeko-Tex 100 standards which means it is certified free of toxic materials in its making. Here in the studio the glue used to assemble the top tab is also certified to be non-toxic and environmentally safe. Sleep well! The industrial felt, made here in a suburb of Toronto, although not certified, is also made without toxic chemicals. STANDARD SIZE – 25″ circumference and 9″ height fits most 4-cup (32oz or 950ml) tea pots. Orders for custom-made cosies are welcome, whether to fit a specific teapot or to work with the décor of a café. Use the contact form at the bottom of the About/Contact page. * 1/8″ (3mm), as-good-as-it-gets fine 100%-wool felt imported from Europe, all of which gives the cosy a nice heft and a beautiful hand-feel. The colours are rich, intense and jewel-toned. * 1/8″ (3mm) 85%-wool manufactured in Canada for dust shields, wipers, grease retainer washers, wicks, vibration absorption and other uses where resilient felt is needed. It also makes a brilliant tea cosy. The felt has an intriguingly practical look, is soft and inviting to the hand and is as functional as it gets. The colour is the natural baa-baa black sheep — a lovely mix of light and dark wool making a soft, mid-brown. Did you know wool felt is naturally flame resistant? Although it will burn when exposed to an open flame, when the flame is removed, the felt will extinguish itself. So one of the Flock of Tea Cosy on a festive candlelit dinner table? No problem. 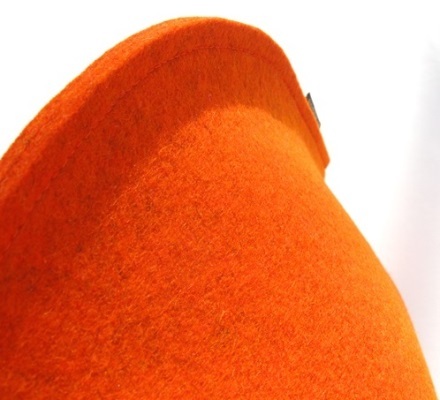 The beautiful European wool felt used for these cosies is certified free of harmful substances according to Oeko-Tex Standard 100 per certificate bearing Test-No. 94.0.6806. See www.oeko-tex.com for details on their testing. If the cat or one of the kids needs to find out what it tastes like, no problem.